Hello everyone, so it has been a happening week with the Navrathri and related festivities around. I went to Mysore and the sight of Mysore palace adorned with lights at night, was breath taking. You can view the picture at my Instagram page. It has been a while since I did a single product review post. Mostly because it is easier to compare multiple products to understand them better. I received a sample pack of this skin yoga face pack with #Smytten box, and this one is worked well for my combination skin. 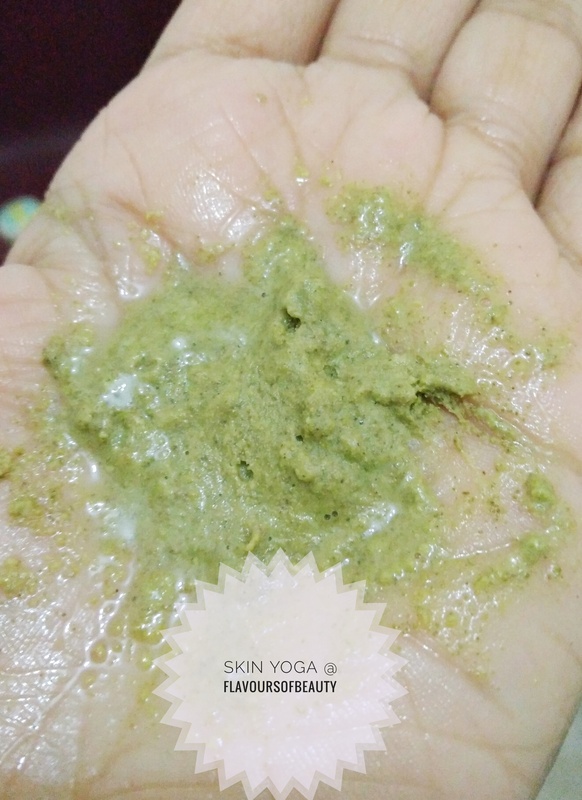 SkinYoga is a 100% natural skincare brand owned by three sisters. They travel far and wide to get the best natural ingredients to formulate each product. All products have simple but effective ingredients and are not packed with goodness from ingredients we are all familiar with. The find the simplicity of formulations refreshing. Packing : The product comes in this cute little vintage looking wooden box with a yarn thread to keep the lid closed.The mask comes in a small glass bottle with a cork stopper. 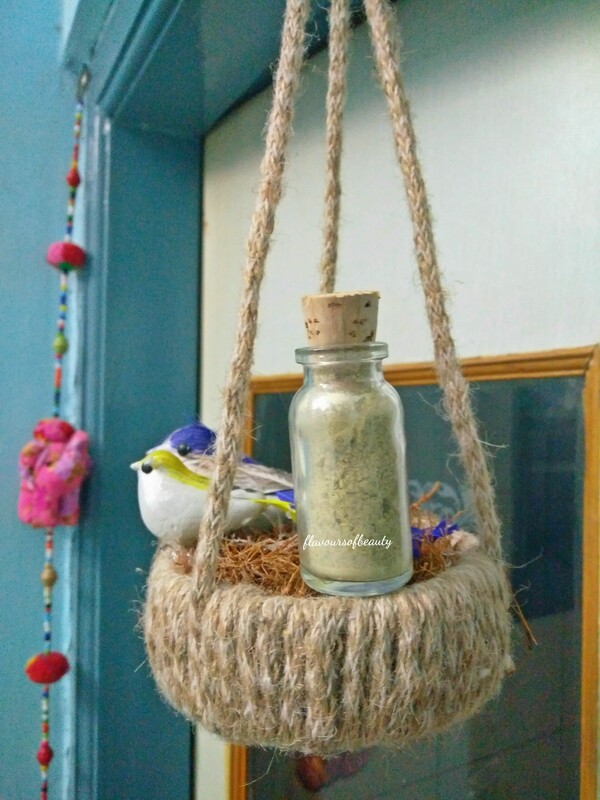 Also there is a jute nest inside the box, that acts as a protective package. Price : Rs.1,750.00 fro 50gm. Yes I know, very very expensive. Texture : The mask is in a light green powder form. When mixed with warm water (as recommended), it becomes a smooth paste. Also just a quarter of teaspoon of powder, kind of increases in volume when wet and sufficient for face. I was familiar with the brand, as I make sure I keep updated on, all natural skin care brands. But I never felt like investing so much on a face pack that can be easily made at home with same ingredients. Anyway since I got this sample free with the subscribed box, I gave it a try and was pleasantly surprised. I was getting a lot of breakouts recently and my skin felt quite irritated, even though I don’t slather any chemical laden products on my skin. I mixed a small quantity of the powder with warm water and applied it to wet face. I kept it for 10 minutes and washed it off before it was completely dry. This is very important when ever you use face masks that tends to dry out skin. My skin felt very refreshed and soft. The minor acne seems to have settled a bit and clearly my skin felt a bit brighter. Since this is a sample, I use it only when I see any new breakouts as I don’t want to finish it up fast. I don’t think I will purchase this, as it is too expensive for a skin care product. Also you can easily make this product at home at very low cost.